Viva La Vegan! - Vegan Myths debunked in song! Vegan Myths debunked in song! Now back to the myths, just where do we get our protein, calcium, iron, zinc? Oh, yeah, PLANTS! Yes, that's right, I am! What about our ancestors? Didn't they eat meat? If I wasn't supposed to eat it, then why do I have these teeth? Isn't vegan food just bland and gross? No! It's yummier than most! 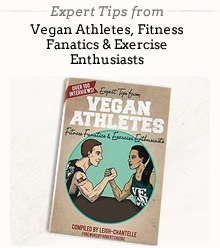 Aren't vegan men weak and girly? Yeah, it's all about plants. Me too! Let's have a snack!